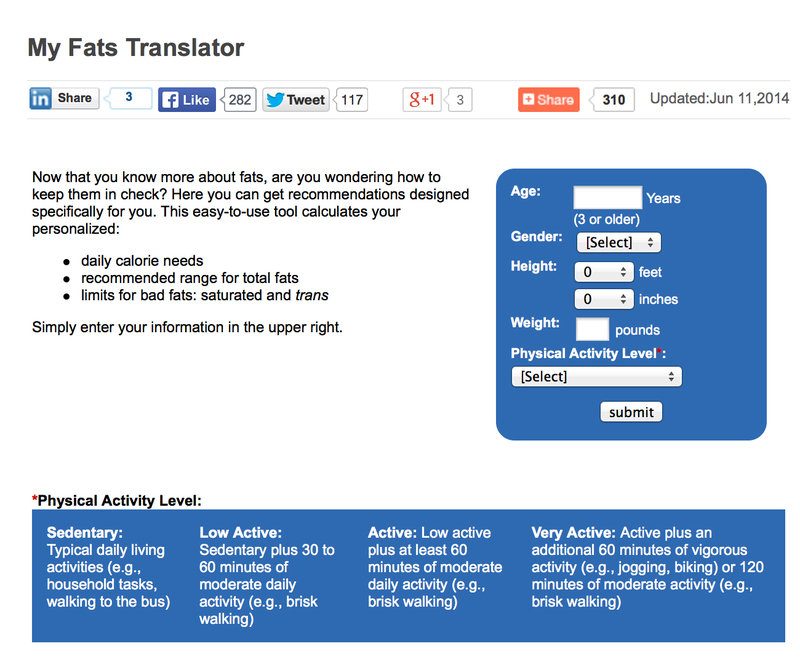 In researching sports drinks, I found this cool tool from the American Heart Association called My Fats Translators. For those of you who need details and like number counting, this is for you. You enter personal information like your age, height, weight, and activity level. 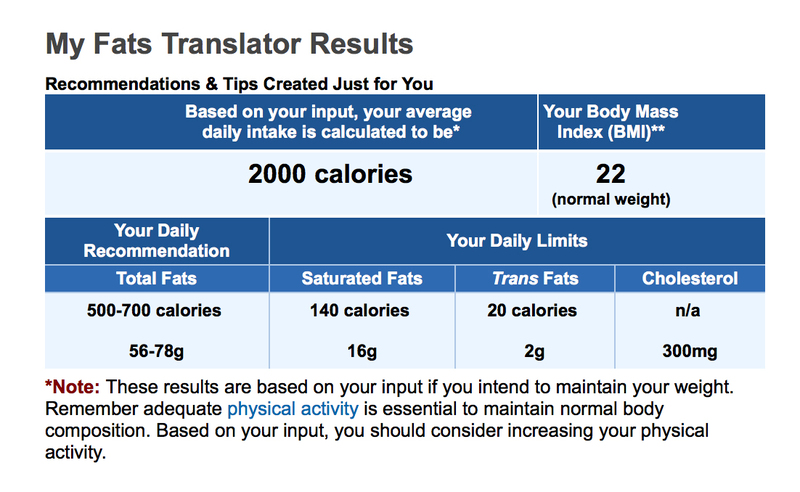 Then it gives you a personalized breakdown of the amount of calories and fats you should be including in your diet every day based on your activity level. This one I did for a low activity level because some days that’s just how it is.